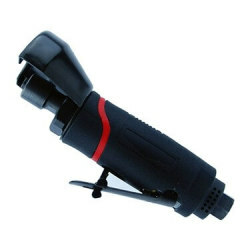 Professional Exporter of Pneumatic Tools, Power Tools, Sanding Material etc. 1. The handle is ergonomically designed with good touch feeling and skid-proof effect. 2. Speed could be adjust. 3. 360 degrees adjustable exhaust type design. 4. The handle material characteristics almost unchanged and it could still keep good flexibility at between -60 degree and 150 degrees or exposure to UV, wind and rain environment. 5. Handle material properties is with excellent oil compounds at high temperatures and it has excellent resistance to solvents.